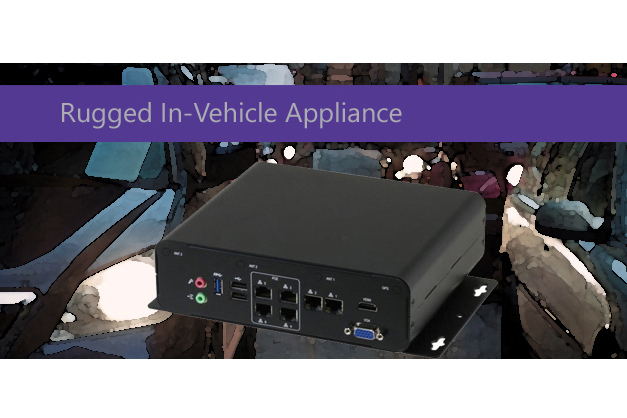 Ionodes is pleased to announce that the newly released CR16LS in-vehicle NVR is now available to meet all of your mobile projects. The CIRRUS CR16LS is a rugged in-vehicle NVR appliance with built-in 4 PoE ports designed for direct management of four (4) PoE IP cameras. Features such as vibration resistance, I/O ports, ignition control and 3G/4G wireless networking make integration into vehicle system projects fast and easy. A must have for vehicle computing, the Power Ignition Control feature plays a key role in controlling the device’s power function. This feature detects the ignition signal status and allows users to control the on/off delay time setting through the Ignition. System Manager (ISM) software utility. The CR16LS’s ruggedized design allows it to support wide ranges of temperatures. Outfitted with industrial grade components such as the SSD boot drive and memory, it can operate in demanding conditions from -20°C to 70°C. Don’t forget we are here for you. You can reach us on our toll-Free: 1844.696.1060 , by email at sales@ionodes.com.